There are nearly 44 million Americans bearing over $1.5 trillion in student loan debt. IonTuition, the leading provider of student loan management resources for employers, brokers, and universities, explores trends in how student loan debt is affecting borrowers. In a recent survey, IonTuition gauged whether opinions on student debt repayment as a benefit have shifted in the past year in tandem with the ever-increasing debt crisis. Download full survey report here. Although 2017 survey respondents also expressed high levels of interest in student loan repayment assistance as an employee benefit, demand has only risen in 2018. 80 percent of respondents either agreed or strongly agreed that they would like their company to offer a voluntary student loan assistance benefit in comparison with just over three quarters in 2017. Borrowers are also taking on more debt, as over 30 percent survey took out more than $30,000 in student loans. Consequently, borrowers are increasingly prioritizing student loan repayment assistance over other, more traditional employee benefits. While in the past, benefits like 401(k)s were strongly coveted, today many employees, two thirds of survey respondents, would prefer student loan repayment bundles over 401(k) benefits. That number rose over 40 percent from 2017. When asked to rank voluntary employee benefits in order from most desirable to least desirable, student loan assistance was ranked most desirable, followed by personal financial planning, legal services, identity theft protection, retail discount program and pet insurance. 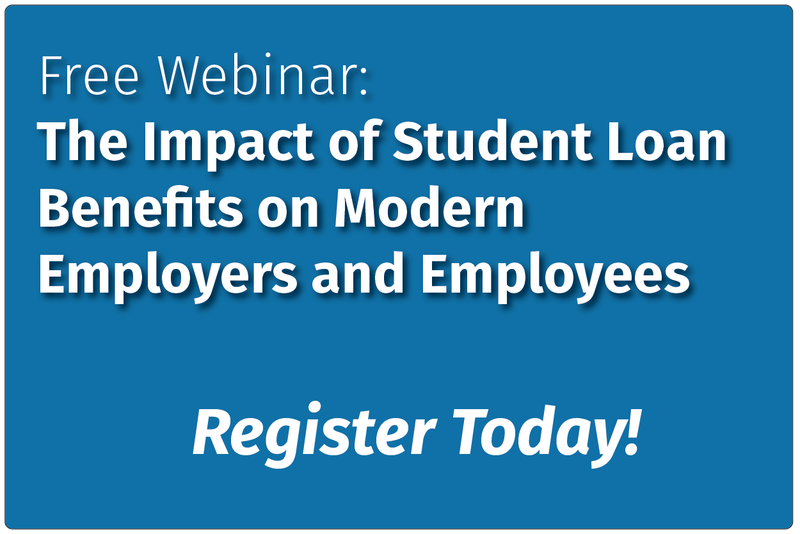 With 78 percent of respondents expressing that their company does not offer a student loan repayment assistance benefit, employers have the opportunity to be the hero. While 401(k) benefits are attractive, employees are increasingly demanding student loan repayment assistance benefits instead. Employers who meet this demand can expect decreased employee stress, and increased productivity. *IonTuition surveyed 1,000 individuals over the age of 18 who have taken out student loans.